WhatsApp for Nokia S40 devices has recently received a new update to version 2.4.12. The new version was not accompanied by an official changelog contains a list of new features. WhatsApp is an application that needs no introduction, but for those who still do not know it, remember that it is one of the most popular multi-platform instant messaging client available also compatible with the Nokia devices. 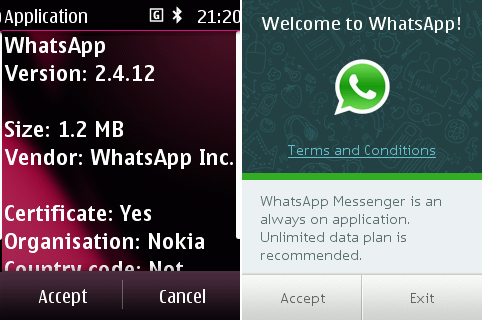 To download the latest version of WhatsApp for your S40 phone, just follow this link.